Before the marketing world was introduced to digitalization, the most important indicator for key performance was sales. In today’s times however, the scenario has changed. Sales are important now too, but along with it the focus is also on customer experience. Every business has a marketing team whose job is to find out the true value of the services that they provide or the products that they sell. In order to enhance user experience, new ways to serve customers better and keep them engaged with the brand needs to be determined. This is where digital marketing comes into the picture. One thing that cannot be denied is that digital marketing is propelling past analogue. Every day people are consuming more and more digital content – using their desktop, smartphones, laptops, tablets and other devices. Businesses that want to remain at the top of their game require an alteration in their strategy to adapt to the current trends. 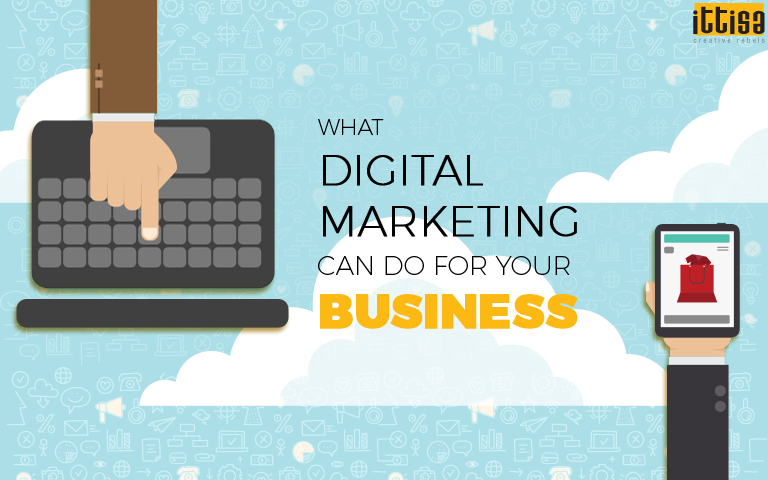 Why opt for Digital Marketing? To make the most out of your business, reaching out and engaging with the right audience is very important. 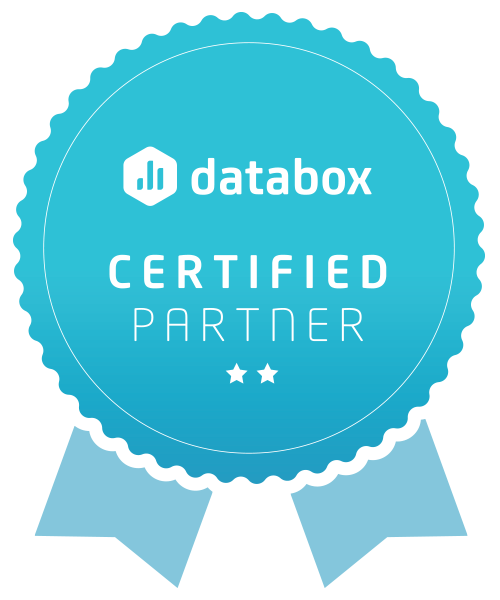 There are limitless amount of data online that can help you understand your audience. For example, with Google Analytics and other tools, you can understand how people find your store online and what they do next. You can also detect the age, location, gender, relationship status, likes and preferences of your audience, and their opinion about your product or services. Strategizing online campaigns based on this information, will help convert leads into customers. 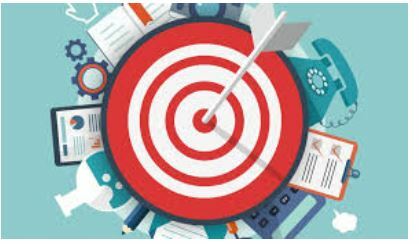 It is evident that an online marketing campaign or strategy involves very little cost when compared to traditional advertising mediums like television, radio or print ads. With digital marketing, the need to wait for days to know the results of your marketing campaign can be done away with. Important things such as the number of people visiting your site, increase in your subscribers, the peak trading moments, conversion rates and several other things can be seen with just the click of a button. Using social media networks, interaction with the audience in real-time is possible. You can easily encourage your audience, followers, customers and even clients to visit your website and social media channels, know details about your product/services, purchase them, rate them, review them and provide feedback that will help both you and other customers. With advanced marketing methods and techniques, they can also be influenced to become clients. The rise of digital media platforms such as online portals, blogs, social media channels, search engines, etc are a witness to the fact that digital marketing is taking over traditional marketing. Having a digital presence will ensure that you are ahead of your competitors and get maximum exposure in a cost effective manner. More than 3 billion people use the Internet on a regular basis worldwide. Reaching out to all these people can revolutionize the way businesses can be marketed. Going the digital way is the best way now to grab the attention of potential customers online. At present, this is what becomes the distinguishing factor between a flourishing and a fizzled business. The online marketing business provides a fair chance to small/medium enterprises to compete in the market and attract their target audience. This new era of marketing has made it possible for small companies to build up resources to perform all the necessary processes of sales and marketing that were previously a privilege for large corporations only. Compared to traditional marketing, digital marketing is much more cost effective and provides better results. 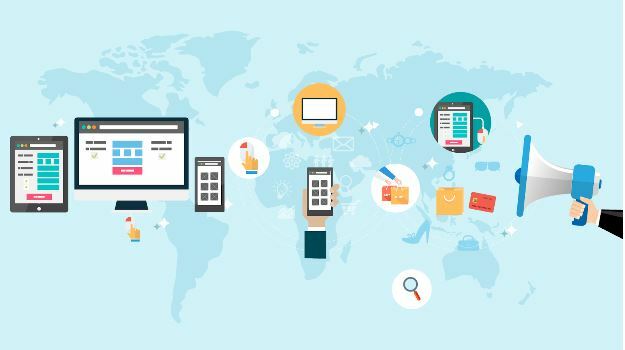 Research says that 40% of business organizations claimed that they were able to make considerable savings by implementing digital marketing methods for promoting their goods and services. According to HubSpot, digital marketers also get better CPL (Cost Per Click) when compared to other channels of marketing. The success rate of products and services that are marketed online can be analysed in real time by leads, subscriptions and sales. Hence the most important priorities for digital marketers are – content marketing, social media marketing, brand and conversion optimization. 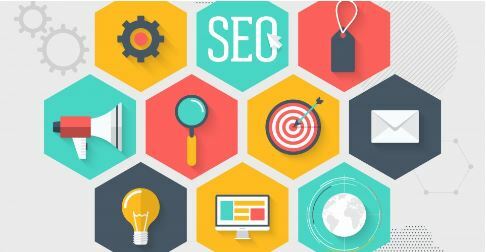 Tools like SEO, SEM and Email marketing are useful in generating better and faster interaction with the target audience. If conversion rates are higher, automatically it will deliver better profits, benefiting your business with higher revenues. According to Google, companies that use digital marketing as a marketing tool have 2.8 times better expectancy of revenue growth. Also, both small and medium enterprises will have a much better chance of expanding their business and workforce. Knowing what your target audience wants is really important for your business. The option to interact with the audience with relevant engagement points can help you understand what your customers want and you can decide what you want to do about it. Mobile phones are no longer just a tool of communication; they have become a part of life. People spend a lot of time with their mobile phones, and in a way it also influences their purchase decisions. Digital marketing reaches out to mobile consumers and it is a great way to boost sales. The digital platform is a great way to create a positive image of your brand and retain that image. With a well-maintained website and high quality content that targets the needs of your audience, you can achieve significant value for your brand and opportunities of lead generation. Social media channels and personalised emails also work in the same way for brand development. When you have an online business, you have no choice but to be updated with the latest technologies and trends if you want to stay in the competition. When you are updated, it’s obvious that you will fare better in the market. Digital marketing is the most effective way to advertise your products or services to a large number of audiences. You only need to update all your activities on social media and fulfil your multiple marketing needs. 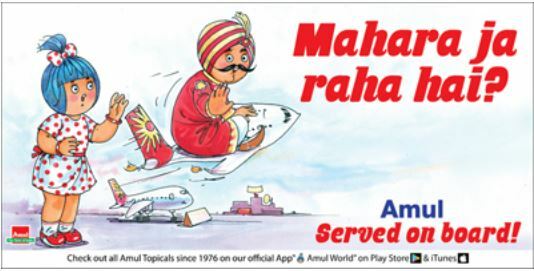 One of the most recognised and successful brands of India, Amul wanted to reach out at every corner of the country. Keeping at par with the advancement in digital media, the brand’s presence can be strongly felt across social media channels like Twitter and Facebook. The trademark Amul girl, who had already established a name for herself in newspapers, has a lot of fan following even on social media. Based on the trending affairs at both national and international level, the content is fun, witty, engaging and relatable. 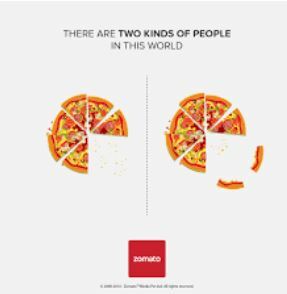 When it comes to content marketing, Zomato clearly shows that they are here to rule. Their idea is based on an interesting image and a witty content – with a message that is highly relatable. With various events and occasions, they come up with different ideas each time, but there is always a connect with the brand. Zomato knows that it is a food and beverage company, and that its target audience are mainly foodies. Hence, the images and content are always related either to food or the behaviour pattern of foodies. 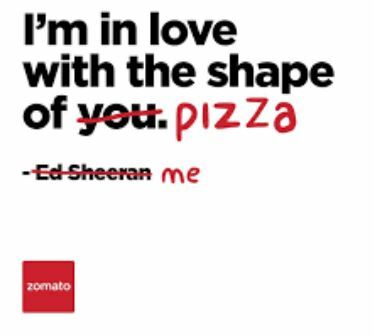 Apart from this, Zomato understands the psychology of its consumers very well and has mastered the art of winning hearts over and over again. Flipkart’s agenda was to create brand awareness and position itself in such a way that when people think of an ecommerce store, Flipkart is the first option that should come to their mind. Using platforms like Twitter, Facebook, Blogs, Google Plus and Affiliate Programmes, the brand launched a lot of new products and services, ran promotions, sales and encouraged customers to provide valuable feedback. 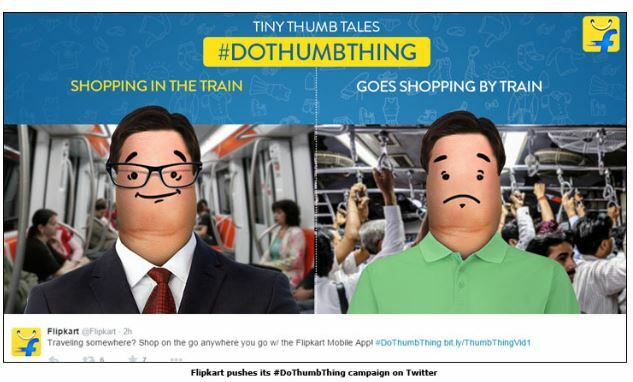 Flipkart has managed to create brand awareness like no other. The main digital marketing strategies of Flipkart were creating brand awareness, keeping customers engaged and helping customers with their queries and complaints. 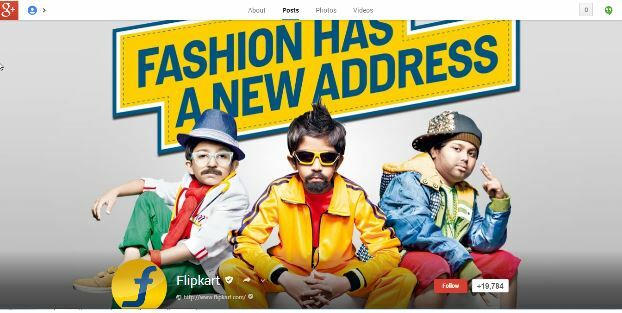 The Flipkart Kids ad campaign based on the innovative idea of young children acting as grown-ups has managed to make the brand a national sensation. With every passing year, more and more businesses are making the shift from traditional methods to digital marketing. Competition is getting increasingly high, and a good reputation of a business is essential for its survival. Building a sense of trust and confidence in the mind of a consumer is very important. Ittisa is a creative end-to-end digital marketing agency that helps to keep your brand at the top of the game. Leave us a message here and we’ll get back to you!